The digitalization of marketing brought completely new possibilities in terms of synchronizing messages and communication across different channels. With this, the requirements for marketing have fundamentally changed: where once messages have been sent in the form of TV commercials, print ads or mailings, now tracking and targeting individual consumers across digital marketing channels have taken over. Working with a wide range of media in a cross-channel context presents significant challenges to advertisers. What is needed are the right strategies, the right people as well as the right systems and tools. Connecting and tracking the different customer touchpoints within the customer journey, as well as being able to correctly attribute a campaign’s success is key for a successful cross-channel strategy. An orchestrated cross-channel approach, including, amongst others, social media, TV, email marketing, display marketing, search engine marketing, results in a higher ROI. What is Multi-, Cross- and Omni-Channel Marketing? Multi-channel marketing means working with more than one marketing channel, but operating them independently. Multi-channel marketing maximizes the performance of each channel separately, there might be different teams for each channel. Every channel has it’s own reporting-dashboard, a consolidated marketing report is not present. Typical symptoms of such a multi-channel strategy are last-click or first-click attribution as well as the lack of de-duplication, leading to double counting sales across channels. A general cross-channel strategy doesn’t exist, but instead different strategies per channel. An example could be an advertiser working with Google AdWords and Facebook Ads, without considering potential interactions, evaluating and managing them individually. Cross-Channel marketing on the other hand means coordinating different channels and fully taking into account interactions between these channels. This first and foremost requires understanding the impact that every marketing touch has on a specific customer journey and allocating marketing budgets accordingly. A consolidated cross-channel marketing report, based on multi-touch, algorithmic attribution modeling allows marketers to do exactly that. Marketing messages are coordinated across channels for a consistent customer experience without friction. For example when a visitor came through a specific AdWords campaign (flights to Cape Town) but didn’t purchase or interact with the site, a retargeting campaign could serve ads including information from the AdWords campaign on another channel, for example on Facebook. Omni-channel marketing takes this a step further and aims at developing a holistic view of all customer touchpoints regardless of the channel and puts the customer at the center of the strategy. This requires marketing platforms and channels seamlessly working together through tools and systems. Data collected about customer’s previous interactions, e.g. which products have been viewed or purchased, which ads have been clicked or viewed, newsletter signups, should be available at every channel touchpoint. A customer shouldn’t be retargeted with ads for a shoe she just bought. Cross- and Omni-Channel Marketing offer decisively more potential for conversions, because of synergies between the different strengths and characteristics of the channels. A targeted display banner ad through a DSP aims at generating new prospects and first time visitors. Combined with coordinated SEA and retargeting campaigns these prospects can be refined and led to a purchase. Interaction and automation of the dialogue through different channels along the customer life cycle, far beyond the first sale (e.g for upsell or churn prevention), should be developed. Such a life-cycle approach recognizes the individual characteristics of each customer and delivers tailored messages through her preferred communication channel. This approach often yields far higher conversion rates as opposed to traditional acquisition-oriented marketing. The big question is, how to evaluate the individual performance of marketing campaigns in a cross-channel context and properly allocate budgets. By now it should be obvious that last-click or first-click attribution (see here for details) don’t make much sense. Marketers might have the most advanced cross- or omni-channel marketing strategy, but if they use last- or single-touch attribution to control and manage their campaigns, they’re not really doing cross-channel marketing. Through last-click attribution marketing managers would severely overvalue the effectiveness of channels that commonly happen at a later stage in a customer’s journey, such as retargeting and AdWords brand search campaigns, and on the other hand undervalue channels at the top of the funnel. So which type of attribution should be applied in a cross-channel context to really understand, which campaigns contribute value and which don’t? All static and rule-based models have the issue of being arbitrarily chosen and not based on reliable data analysis. A 40%-20%-40% position based model might sound reasonable at first. But applying it stubbornly to every single customer, regardless of their individual characteristics and the participating marketing campaigns? Cross-channel attribution needs are based on multi-touch, algorithmic attribution models. Only these algorithmic models are based on objective data analysis and learn from past journeys, converting and non-converting ones. These models can calculate the performance of different campaigns, dynamically and depending on the customer’s specific attributes. 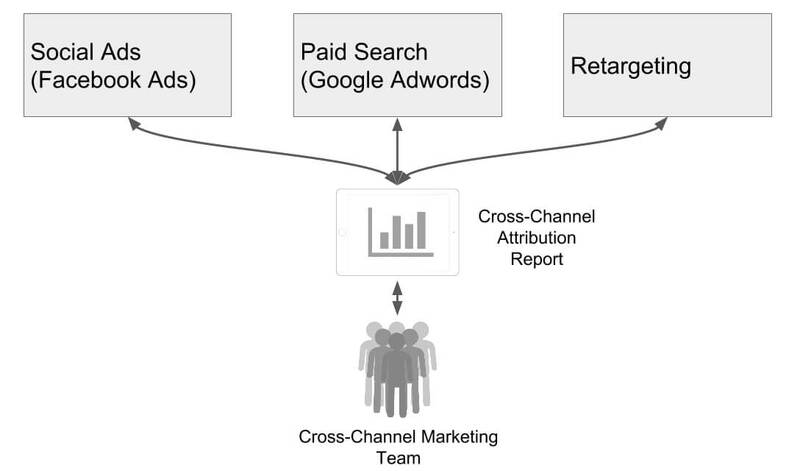 A cross-channel attribution system also needs to take into account all campaign touches. This, of course, should include display ad impressions, so for example if a user only saw a display banner ad but didn’t click on it. Evaluating display ads only on the basis of the clicks they generated (worst case on a last-click basis), leads to dramatically undervaluing this channel. This could lead to making costly mistakes by shutting down a channel with a high potential for new customer acquisition, especially when in a competitive vertical. Tracking users and customers across different devices should also be part of any cross-channel attribution system. Otherwise different marketing touch points on a customer’s mobile device couldn’t be connected to the purchase on the same customer’s laptop. This would lead to undervaluing the marketing campaigns aimed at mobile devices vs. the others, again, leading to flawed marketing decisions. 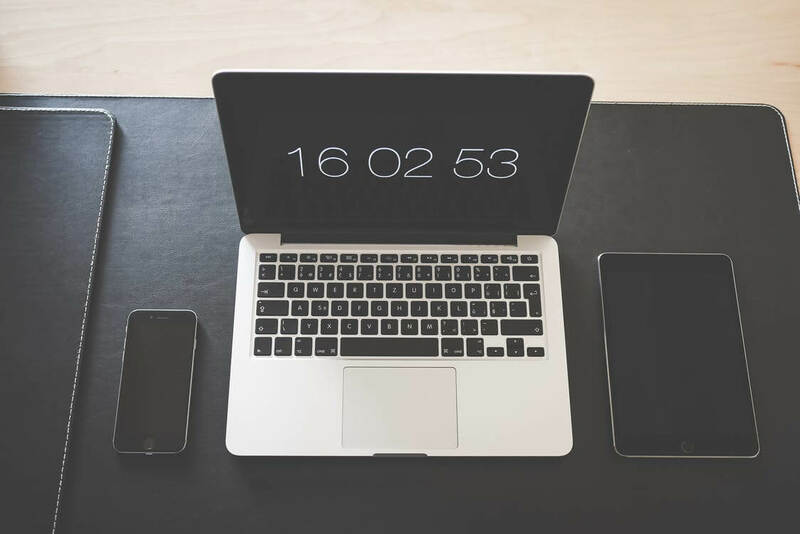 You can read more about cross-device tracking here.